Namrata Joshipura has made her mark on the fashion scenario with her global aesthetics and designs that transcend geographies, age, religion and point of view. 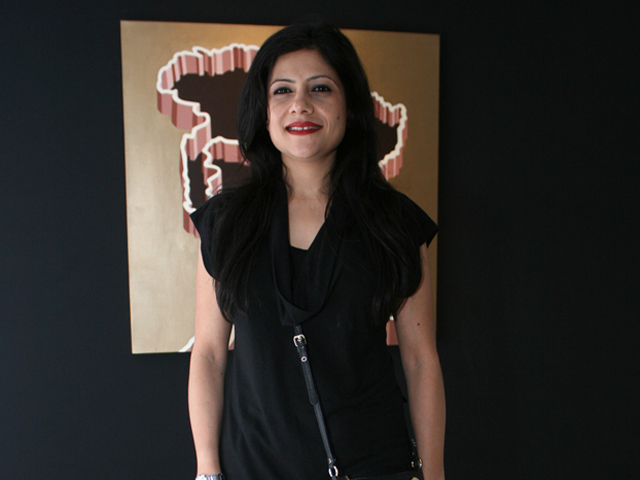 Now the feisty designer will set the ramp ablaze at Lakme Fashion Week Summer Resort 2013 Grand Finale. In a tete-a-tete, she tells us all about drawing inspiration from the Lakme pop tint colors and how it’s been working with the gorgeous Kareena Kapoor who will be her show stopper! FMW : Would you run us through your collection? 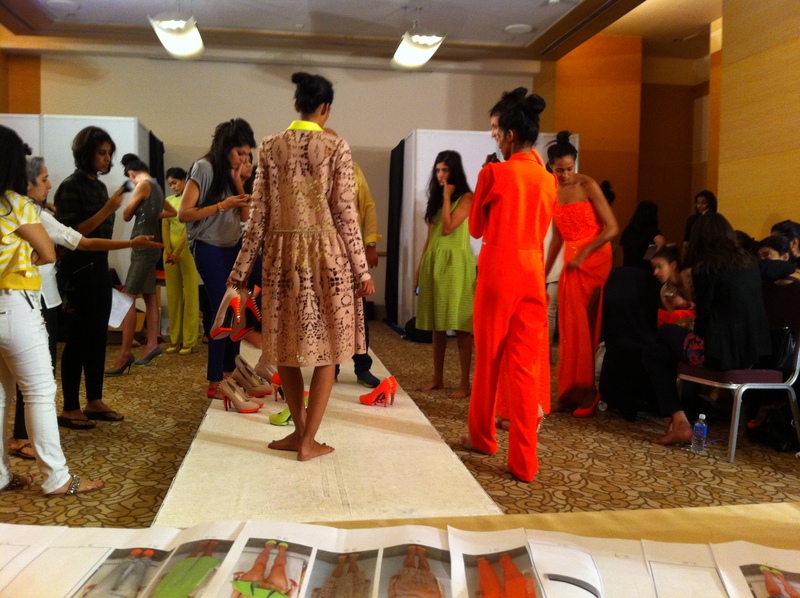 N.J. : The collection is based on color trends for Lakme Absolute Pop Tint Collection. So I have taken the same colors and concept of pop tints and carried that forward in the collection. Basically lots of Acid Orange, Neon Pinks, Citric Greens balanced with the use of Ivory, Sand, little bit of Grey and Gold. Using subtle colors and whites, brings out the pop colors even more. FMW : This is your debut at LFW and you are doing the Grand Finale. What has your association with Lakme been like ? N.J. : It’s been a great working relationship that we guys share. I find the Lakme team extremely progressive, open and with an out of the box thinking. What I have particularly enjoyed is that the whole process has been very focused. It’s not any designer and it’s not me just doing any finale. It’s a complete project that we are working on. FMW : Tell us more about it? N.J. : So we did the campaign with Kareena. Right from what we gave her to what we are doing on the show is all connected. The stage, sound, designs, lights, everything fits the Pop Tints story. Same mood has been carried forward and that is something very unique with Lakme. They have a statement every season and they pick a designer who kind of suits that statement and then the designer works the collection around that. Its a two way process. I have incorporated the color, theme, mood with the statement of the season. We started with the color forecast – Pop Tints and fit that in with the campaign, the collection, the look, feel, mood and ambience of the show. So its like a story that we worked on, built and developed. FMW : How would you say this collection is different from your earlier works? N.J. : Firstly I have never worked with these pop colors. And this is the first time I have no Black in my collection! Not even a speck of black except for black hair it’s a very modern, young, peppy collection. 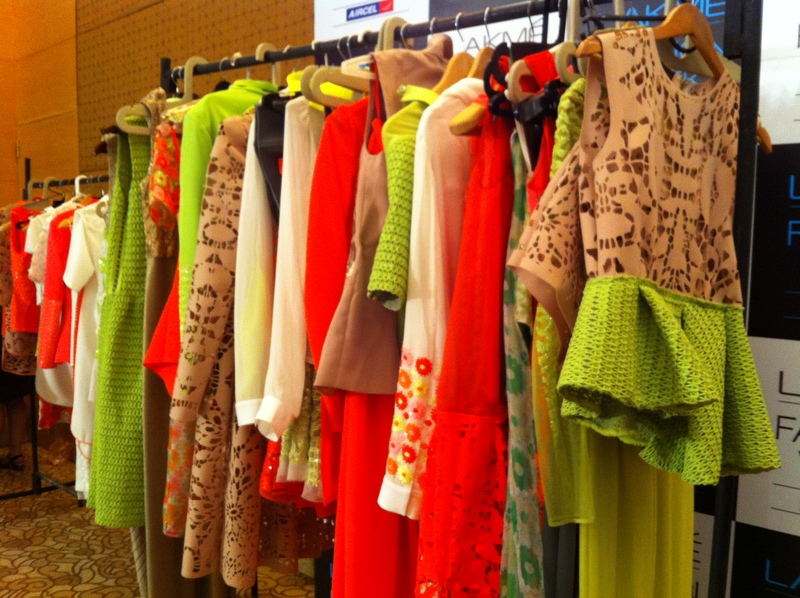 FMW : Whats your favorite trend for Spring Summer 2013? N.J. : Pop colors clearly is my favorite trend. I love the way these colors look and feel on the Indian skin. FMW : What kind of cuts and silhouettes would define Spring Summer 2013? N.J. : Summer Blazers. Embellished Shorts in nice bright colors. Lot of Whites. Floral motifs in bright colors. Lots of sheer fabrics. A sporty kind of feel works very well with Spring Summer trends. FMW : Which colors in particular are trending this Summer? N.J. : Lots of Bright Pinks, Bright Oranges, shades of green like Guava. FMW : Which is your favorite color. Besides Black? FMW : What can we expect from your show? FMW : Are you excited to work with Kareena Kapoor. And what’s it like to work with her! N.J. : She’s fabulous. She’s got a great personality, great presence. She’s beautiful and it cant get better than that ! FMW : Who’s your favorite Style Icon? N.J. : Style is a function of personality. Don’t ape what’s trending. See what fits your body type and what looks good on you and you can carry off. We can’t wait to witness the Kaleidoscope of Pop Colors that Namrata Joshipura will bring to the ramp this Spring Summer.